Moringa is considered to be one of the richest botanical sources of nutrients on earth. In fact, nutrient-dense Moringa is often referred to as a super food or miracle plant, with virtually every part of the tree being of value. Gram-for-gram, Moringa has higher amounts of several different vitamins and minerals, including vitamins C, A, calcium and potassium, than the common foods often associated with these nutrients. In addition, Moringa leaves contain all of the essential amino acids, in good proportion, which are the building blocks of protein. 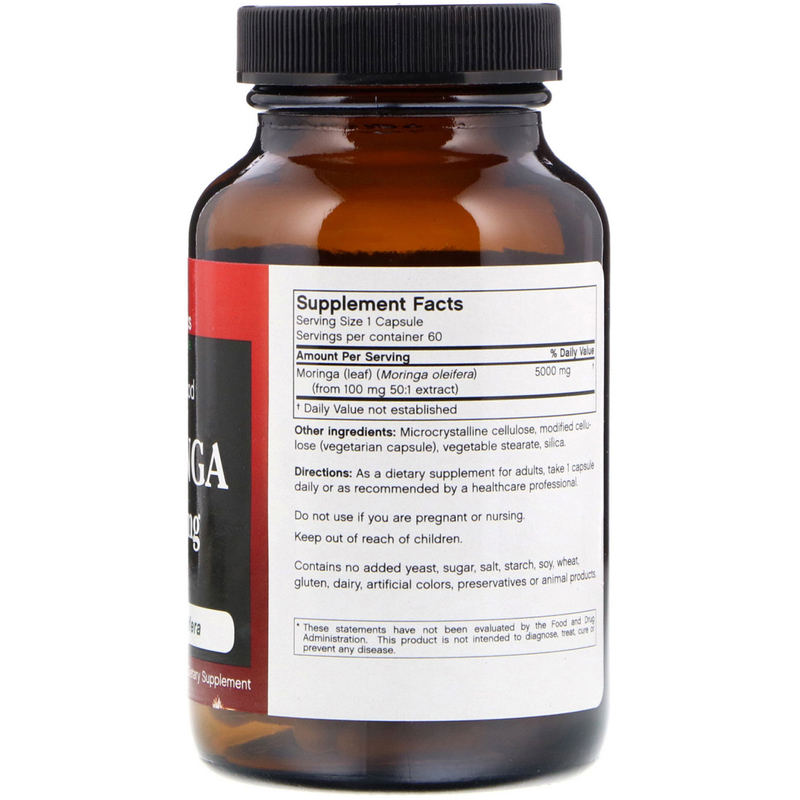 Moringa is also a source of antioxidants and other naturally-occurring phytonutrients. 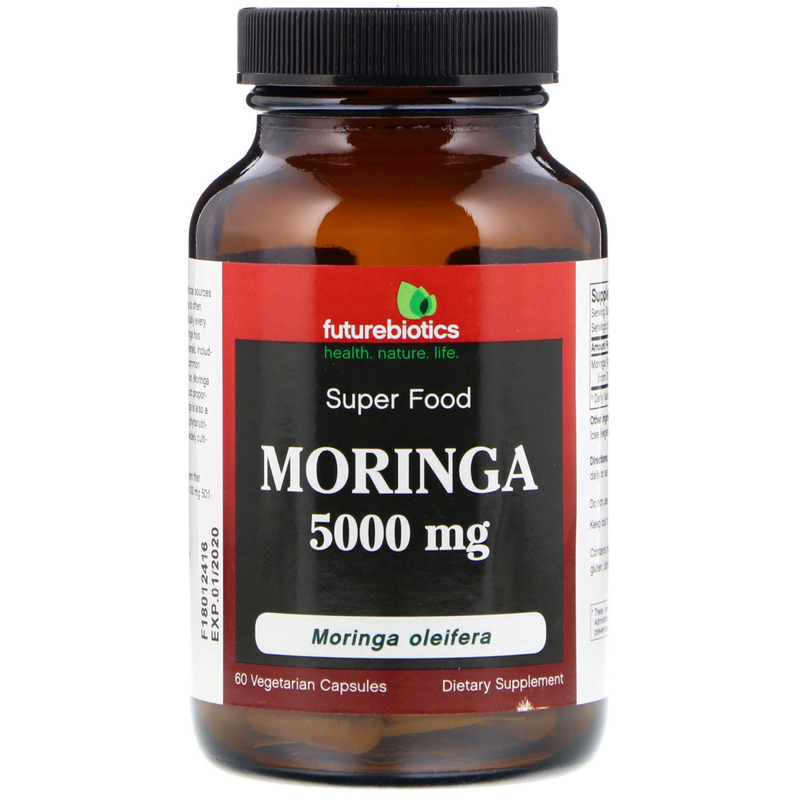 Moringa oleifera is the best known and more widely cultivated of the 13 species of the genus Moringaceae. 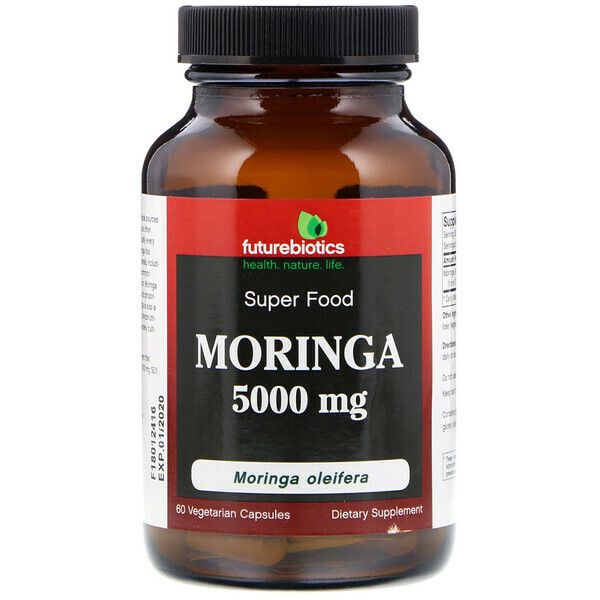 Futurebiotics Moringa is a 100% vegetarian supplement that provides 5000 mg of premium Moringa leaves (from 100 mg 50:1 Moringa oleiferea leaf extract) in every capsule.